The Three Rs: Rants, Raves and (Occasional) Reflections: How They Have Changed in Thirty-Plus Years! Having been housebound for the past ten days with a weird allergic reaction to something that has yet to be identified, I wasn't up for much of anything except lying on the couch watching TV. 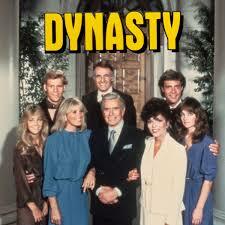 I decided to check out the Dynasty reboot. I hadn't planned to watch it at all, but I was sleeping a lot and figured if I fell asleep during an episode, I wouldn't mind so much. I had watched the original series back in the '80s and found it fell short (in my opinion) to Dallas. The original Dynasty was more of a fashion show than anything else, with less emphasis on character and story than on what the women were wearing. Blake Carrington was the head of Denver-Carrington, a major oil company. At the start of the series, he had two children, daughter Fallon, who was headstrong and a bit of a tramp. Son Steven was quieter, more thoughtful--and gay, to his father's shame (a TV father was allowed to be ashamed of a gay child in the '80s). Fallon ended up married to Jeff Colby, nephew of Denver Carrington's chief rival, Cecil Colby of Colbyco. Blake married his secretary, the mostly spineless Crystal, who had previously been involved with a fellow employee, the mostly married Matthew Blaisdel. Then there was Crystal's niece, Sammy Jo, who managed to marry Steven--though of course it didn't last. In 2017, Denver Carrington has been relocated to Atlanta, is no longer all about the oil, and is rechristened Carrington Atlantic. Crystal is now Cristal, the Hispanic COO of Carrington Atlantic, and Sammy Jo is now a guy. I guess that works better as far as his relationship with Steven is concerned. Time will tell. Fallon is furious that her father has promoted his new wife over her and becomes his competition in the business world. Her partner, Jeff Colby, is now an African-American tech whiz. It made me think. Years ago, when I decided to reissue my backlist books as ebooks, I considered updating them much in the way Dynasty has been updated. Mainly, I wanted to drop the glitz and glamour (even I used to refer to four of the five books I did during my time at Berkley as Lifestyles of the Shallow and Superficial). I saw Alexander's Empire (Dance of the Gods) as story more focused on his flashes of memory and his ties to a woman in a mental hospital. I considered making him an equestrian champion who bought a farm in the Midwest with a tragic history, only to find living there was triggering memories he didn't understand.The title, of course, would have to be changed. Angels at Midnight would be about a young up and coming artist who married an idealistic lawyer with a dark family secret; a tech whiz who worked for a conglomerate taken over by a criminal element; and a custody fight that led to some creative forms of revenge. 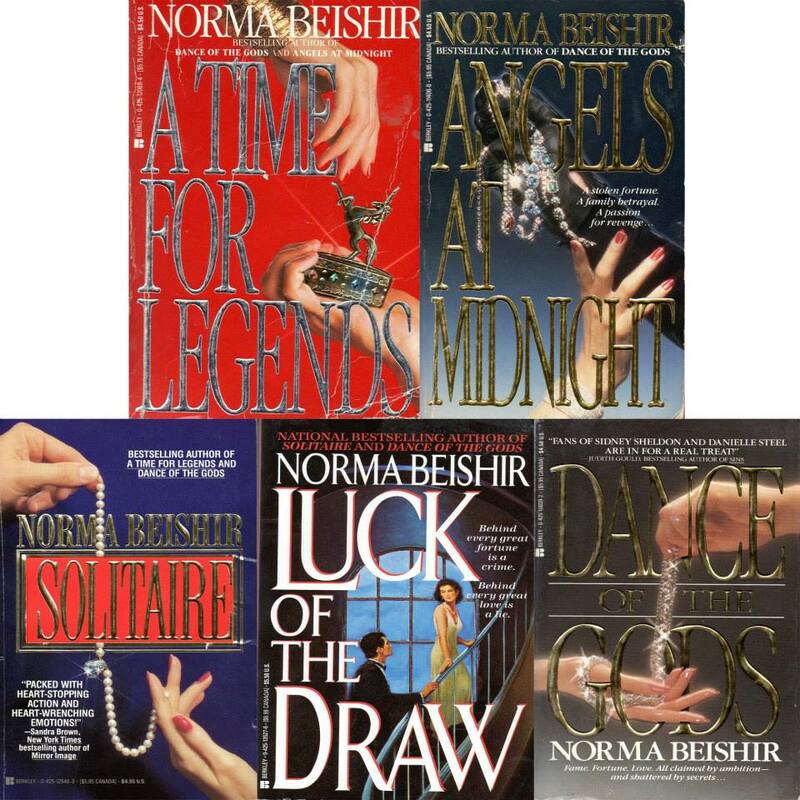 The expression 'when something is working why change it' comes to mind Norma, I have enjoyed your books exactly as they are. I've been thinking about you this week, have you found out anything more about what's causing the allergy, and Collin, how is he doing? That was my concern...doing all that work and finding out the readers didn't really care. That is definitely a reboot instead of an update. I didn't know they were even redoing it. Definitely a reboot. You can't ID the players without a scorecard. Glad you didn't update your books, they are what they are when you wrote them. Just like Star Wars. Did not watch the two shows so or the new one so I am out of the loop here. Not sure the best way to feel better is to watch these shows ? Hope you are feeling better and so is Collin. If you had watched the old one, you'd have to watch the new one with a notepad to keep track of who's who! You are so funny, need a notebook, that is kinda my life right now. I'm sorry you're still ailing! Especially with Thanksgiving right around the corner. Sounds like updating your books would be a fun thing to do. I spent twenty years on my last one, changing the time, the place, and a lot of other things. The writing of it was more engrossing to me than finishing it. Oh, and I did update Treacherous Beauties, but only by adding modern things like cell phones. It was rather entertaining to try to work in the changes smoothly. I think that's something I could do, if I didn't have to retype the whole book to do it. These books are so old, I don't even have discs for them. The first two were done on a typewriter! Norma, I haven't heard from you and hope you and Collin are fine ! I'm still alive, though it's been iffy at times. First, I had the speech problem. Then, Collin was sick. Then I had that unexpected allergic reaction. And Tuesday, I got to spend the morning in the emergency room. I thought I had an ingrown nail on the middle finger of my right hand. It turned out to be something a lot worse. It swelled up and turned a very ugly shade of yellow. I went to my doctor, who described all the worst-case scenarios and tried to get me an immediate appointment with a hand surgeon. She couldn't get it for that day, so she sent me across the street to the ER. I had to have it incised and drained. I'm going to blog about the adventure in detail. Those sound like great titles for parodies! Are you okay? Did that allergic reaction or whatever get you down? Been awhile since I've seen you post. Popping in to say howdy.